← Even the Cats Say: Let Wendy Stay! The 1st presentation was a part of the Alberta Institute of Agrologists 11th Annual (2015) Conference. 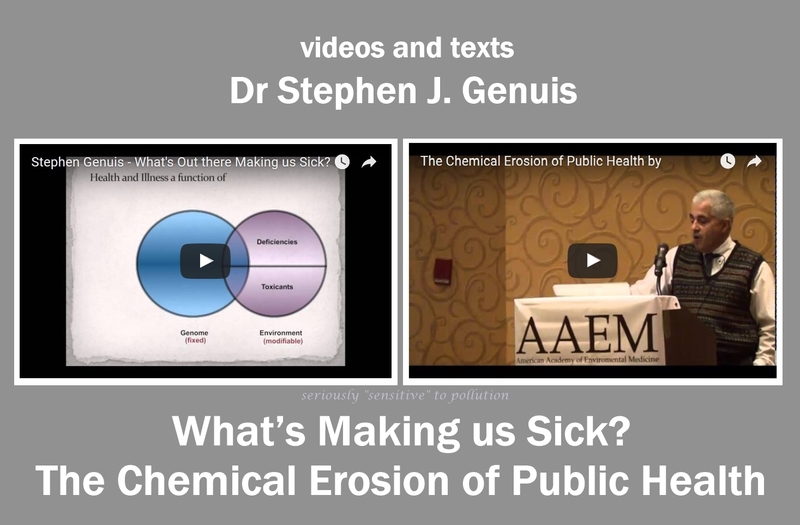 “Stephen Genuis, clinical professor for the Faculty of Medicine and Dentistry at the University of Alberta, discusses the neglected epidemic of chronic disease in Canada and the flaws in our current health care system. He talks about the increases in many different chronic diseases, such as Alzheimer’s and autism. What’s Out there Making us Sick? “Throughout the continuum of medical and scientific history, repeated evidence has confirmed that the main etiological determinants of disease are nutritional deficiency, toxicant exposures, genetic predisposition, infectious agents, and psychological dysfunction. Contemporary conventional medicine generally operates within a genetic predestination paradigm, attributing most chronic and degenerative illness to genomic factors, while incorporating pathogens and psychological disorder in specific situations. Toxicity and deficiency states often receive insufficient attention as common source causes of chronic disease in the developed world. Recent scientific evidence in health disciplines including molecular medicine, epigenetics, and environmental health sciences, however, reveal ineluctable evidence that deficiency and toxicity states feature prominently as common etiological determinants of contemporary ill-health. Approach to patients with unexplained multimorbidity with sensitivities. If only we all had access to to the health and environmental supports needed! This entry was posted in Disability, Education, Environmental Health, Health, Public Health, Research and tagged allergies, autism, cancer, chronic illness, exposures, fibromyalgia, invisible disabilities, MCS, MCS/ES, mental health, multimorbidity, pain, petrochemicals, sensitivities, Stephen J. Genuis, toxic chemicals, video. Bookmark the permalink.